Brooklyn injury victims know that they can trust the lawyers at Gary A. Zucker & Associates, P.C. Our team of legal professionals has ample experience when it comes to lawsuits for auto accidents and serious motor vehicle collisions. 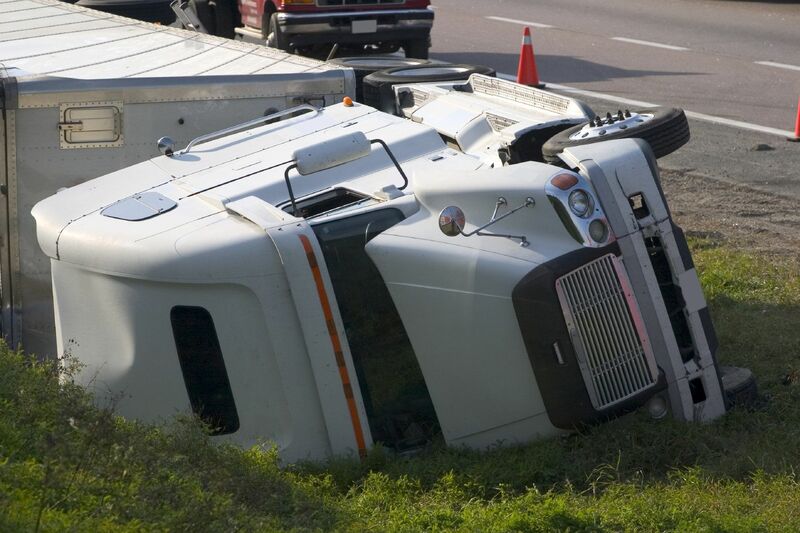 Tractor trailer accidents are among the more serious kinds of vehicle collisions that can occur. Let's consider these types of auto accidents in a bit more detail. While on the road, you no doubt notice that large trucks pose some of the greatest hazards around. If a commuter vehicle is involved in a serious accident with a large truck, it can lead to catastrophic injuries and even fatalities. The injuries will often be much more serious in cases of collisions with bicyclists and pedestrians simply given how vulnerable each are to serious harm. The main reason why tractor trailer trucks are so dangerous is their size. Tractor trailers carry large loads and are a major mass on the road. When traveling at fulls speed, a tractor trailer will collide with objects at tremendous force, which makes catastrophic and fatal injuries more likely. The size of a tractor trailer also contributes to another cause of danger: major blind spots. Blind spots exist with all vehicles, and the blind spots are much larger for tractor trailer trucks simply given how large they are. Since truck drivers may have issues seeing nearby motorists, the likelihood of a serious accident goes up. Jackknife truck accidents are large truck accidents that involve the trailer on a trunk folding in on the vehicle itself. The motion is similar to a pocketknife if you can picture it. When a jackknife collision occurs, the trailer will move into other lanes, striking adjacent vehicles and causing severe damage and injuries as a result. Another important danger to consider with tractor trailers has to do with the drivers of these vehicles. In many cases, the drivers of these large trucks are forced to make long drives on very little sleep, which means that serious accidents are far more likely. These cases of driver fatigue mean that truck drivers are more prone to lapses in judgment and slower reflexes, which make serious collisions more likely. A final matter to consider when it comes to tractor trailer accidents is the condition of the truck itself. Sometimes trucking companies do not properly service or maintenance their vehicles, which leads to serious issues with safety while on the road. When a tractor trailer has not been properly serviced, the company may be held accountable for the injury accident occurring. Legal battles involving trucking companies can be complicated given the various interests involved and the many laws in place that can prove quite complicated. Because of this, it's of the utmost importance that you speak with an attorney about your case. Our lawyers will provide expert counsel in tractor trailer accidents, helping you make smart decisions while providing peace of mind for your recovery. If you would like to learn more about your legal options after a serious truck accident, it's important that you contact our team of personal injury attorneys today. The lawyers of Gary A. Zucker & Associates, P.C. will fight diligently for you and your loved ones in your time of legal need.